IN the last 24 hours West Sussex Fire and Rescue Service has received more than 600 emergency calls. “Our fire and rescue crews have been working throughout the night and this morning in response to the severe weather conditions experienced across the county,” said a fire service spokeswoman. Fire crews were called to Lloyds bank in East Street, Chichester, at 3.10pm yesterday (December 23), as one square metre of tiles were loose on the vertical panel at front of building. The tiles were removed by fire crews. At 7.20pm, firefighters were called to a house in East Street, Petworth, after flooding in a cellar. The water was pumped out by firefighters. At 8.15pm, Petworth firefighters went to the A285 at Upwaltham to a car stuck in flood water. 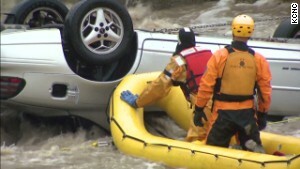 One person was trapped in the car, and firefighters assisted them, and removed the car from the water. At 8.15pm firefighters from Midhurst went to the A272 at Midhurst as two people were trapped in a car submerged in flood water. They were rescued by fire crews. The same thing happened in Heyshott at 8.35pm – two people were trapped in a vehicle which was stuck in fast flowing water. Petworth firefighters went to Station Road in Petworth at 8.44pm, after a car crashed into a landslide. The vehicle was dug out and the incident was left with police. At 9.15pm, Storrington and Petworth firefighters were called to Kirdford after three people were trapped on a bridge in flood water. There was a fallen tree which prevented their escape. They were rescued by firefighters. At 11pm, a large tree came down on the A283 at Fittleworth. There were also multiple cars marooned in flood water, so the tree was cut up and removed from the road. Just past midnight on Christmas Eve, Midhurst firefighters went to a house in Trotton as flood water entered the cellar affecting the boiler. They pumped out the water at left at 1.55am. East Wittering fire crews were dispatched to Lurgashall at 3.18am after the ground floor of a home in Jobsons Lane was flooded. The water was reduced to a safe level. Chichester firefighters were dispatched to Heyshott at 3.30am after a cottage in Bex Lane was flooded. The crew assisted the occupier and diverted the water. East Wittering firefighters headed to the A272 at Midhurst at 4.40am where a person was trapped in their car which was submerged in flood water. The car was moved and the person was taken to safety. A house in Burely Close Loxwood flooded and three people and a dog were rescued by Horsham’s fire crew at 5.50am. In Wisborough Green, Petworth firefighters rescued a man from his car, which was trapped in flood water on the A272 at 7am. Then a cottage in Glasshouse Lane, Kirdford was flooded, and Petworth fire crews pumped out the house at 8.30am. Midhurst firefighters were called to Ashfield Road, in Midhurst, to flood water affecting four homes at 8.20am. The water was pumped to a safe level. “A reminder to all that due to the Fire Brigades Union strike between 7pm and midnight tonight West Sussex Fire and Rescue Service will still be responding to 999 calls but will be operating with a reduced number of resources,” said the fire service spokeswoman. “Advice to everyone is to take extra care and visit our website for free fire and road safety advice. Click here to visit the fire service website. The long, slow process of climate change may trigger "surprise" shifts that could threaten human communities in years or decades, researchers from the National Academy of Sciences warned Tuesday. In a 200-page report, the scientists call for an early-warning system that would watch bellwethers like Midwestern aquifers, Antarctic ice sheets and tropical coral reefs for signs that a "tipping point" is coming. Accelerated environmental changes can already be seen in the loss of Arctic sea ice and bigger wildfires since 1980, the authors said. "A lot of these things require not only monitoring what's going on out there in the natural world as well as monitoring what we do in the human-built environment as well; how much dollar-wise do we have at risk?" said Jim White, who led the committee that produced Tuesday's report. The committee didn't calculate the cost of establishing an early climate warning network. But even in a time of tight budgets, White said, the cost would be "trivial compared to the cost of the assets at risk." Media's global warming fail Photos: Climate change and human conflict Photos: Climate change and human conflict Follow CNN Science News Facebook: CNNScience Twitter: @CNNLightYears "We have trillions of dollars of infrastructure in cities along the coast alone," said White, a geochemist and paleoclimatologist at the University of Colorado. When a bank wants to protect the money in its vaults, "You don't crab about how much the cameras cost," he said. But, he added, "at a time when we should be understanding more and observing more about our environment, we're actually observing less." The idea of long-term climate change driven largely by the use of fossil fuels, which release heat-trapping carbon dioxide emissions into the atmosphere, is controversial politically but accepted as fact by most researchers. The concentration of heat-trapping carbon dioxide hit a concentration unseen since prehistoric times at the benchmark Mauna Loa observatory in May, and scientists reported in 2012 that the ice sheets covering Greenland and Antarctica were losing mass at an accelerating rate. 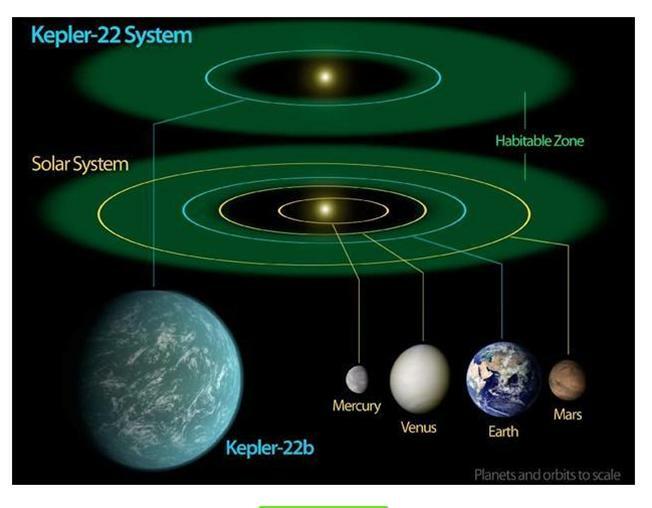 Tuesday's report states that there's a high risk of increased extinctions of land and sea life and the disappearance of the Arctic icecap in summers within this century. There's a moderate risk of increased heat waves, a decline in ocean oxygen levels and rapid changes to ecosystems that would threaten food and water supplies, the scientists note. Watching for those symptoms would give communities that depend on those ecosystems the ability to adapt, White said. City-size iceberg drifts from Antarctica And there's a "probably low" but unknown risk that warmer rising seas could undermine the ice sheet that covers western Antarctica, raising average sea levels far more and more quickly than the roughly 1 meter (3 feet) they're now projected to increase by 2100. That would make it much harder for coastal cities like Miami, which is already seen as the U.S. city most vulnerable to climate change, to adapt in time. "Warm water, as one could imagine, is the enemy of ice, and we don't monitor ocean currents and ocean temperatures near the ice sheet nearly as much as we should," White said. Other feared effects -- such as the sudden release of large volumes of methane from thawing Arctic tundra or the disruption of the Atlantic Ocean currents that carry warm water into the northern latitudes -- were given a low chance of occurring on a rapid scale. That's not to say that they won't happen, just that they're likely to happen gradually, White said. Global average temperatures are up about 1.5 degrees Fahrenheit (0.8 degrees Celsius) since the 1880s, according to NASA. The United Nations has been trying to get member nations to reduce carbon emissions enough to limit warming to 2 degrees C (3.6 F). But in a paper published the same day as the National Academy's report, NASA's former top climate scientist warned that a 2-degree increase would still inflict "irreparable harm" on future generations. "These growing climate impacts, many more rapid than anticipated and occurring while global warming is less than 1 degree C, imply that society should reassess what constitutes a 'dangerous level' of global warming," James Hansen, now the head of the climate science program at Columbia University in New York, wrote in the online, peer-reviewed scientific journal PLOS One. Continuing to burn fossil fuels at today's rates "would be an act of extraordinary witting intergenerational injustice," Hansen and his colleagues concluded. [FIRST VIDEO] Illinois Tornado Caught On Camera 17 Nov 2013 : 6 Killed As Tornadoes Rip US Midwest - YouTube: " "
Super Typhoon Haiyan Hits Philippines - VIDEO Storm Yolanda 2013 - YouTube: " "
President of Somalia's Puntland calls for flood help - YouTube: " "
▶ Mount Sinabung: Volcano in Indonesia has third eruption in three months - YouTube: " "
One in five Milky Way stars hosts potentially life-friendly Earths, study says - YouTube: " "
Hundreds moved to safety after Sumatra volcano spews more ash - YouTube: " "
Kepler-78b planet 'similar' to Earth discovered by astronomers - YouTube: " "
Although the overall number of earthquakes recorded on the United States Geological Survey’s real time earthquake map for the week of 12-18 September isn’t significantly different from the previous week, it was nevertheless relatively quiet at the top end of the scale with just one earthquake of at least magnitude 6 (≥M6.0) and 18 of ≥M5.0. These larger tremors were scattered across the globe, with noteworthy events on ocean ridges in the South Atlantic and eastern Pacific and tremors in Greece and Georgia. At just M6.1, the largest earthquake of the week was nothing out of the ordinary, particularly not for its location. Along with three more of the ten largest tremors, this quake represents an aftershock from the M7.0 which struck on 30 August. So far there have been around 60 aftershocks of at least M4.5 and over 300 of all magnitudes. The repercussions of major shocks such as this can be expected to carry on for weeks or even months. Arguably the most interesting earthquake this week is the M5.0 which occurred in Eritrea. 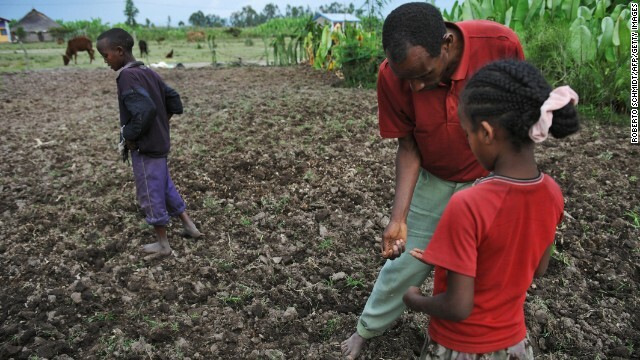 Geologically, this area is fascinating: A rising plume of rock sourced from deep within the earth is lifting the crust and will in time initiate continental breakup of Africa, with a new ocean forming between Ethiopia and Sudan. The M5.0 of 18 September had its epicentre in Eritrea, north of the main hot spot. This region is known as a triple junction, with ocean ridges along the axes of the Red Sea and Gulf of Aden already splitting Arabia from Africa and creating new ocean crust. The third arm, the East African Rift, propagates southwards to become the Great Rift Valley. With such dynamic processes in action, it’s unsurprising that this area is characterised by extensive volcanism and accompanied by earth tremors, although large earthquakes in the area are rare. The majority of significant earthquake activity in the States this week continued to be in Alaska. Elsewhere there was no outstanding noteworthy event, but this in itself offers an opportunity to look at the overall pattern of tremors and to get some idea of the relationship between earthquakes and topography. The San Andreas fault zone, a major plate boundary, is clearly dominant but other, older margins are equally important. To understand the complex geological history of California, even at a very simple level, we need to understand that the US west of the Rockies is made up of various geological blocks which over time have ‘docked’ with continental North America. The boundaries of these blocks are structurally relatively weak – as is indicated by the broadly linear pattern of seismic activity. It’s also worth noting the scattering of tremors in and around Montana-Idaho-Wyoming, which results primarily from volcanic activity associated with the Yellowstone hot spot. The Eritrean earthquake, and its association with the Afar mantle plume, is exciting because it reminds us that earthquakes are not merely part of a destructive process – even though most major tremors are associated with subduction and melting of oceanic crust. The constructive processes by which new crust is created also involve enormous crustal forces and, as a result, are capable of generating noteworthy earthquakes. United States Geological Survey. Real time earthquake map. Accessed 18 September 2013. A woman looks at the flooded Boulder Creek in Boulder, Colorado, on Thursday, September 12. An estimated 6-10 inches of rain fell during 12-18 hours along Colorado's Rocky Mountain Range, from Boulder south to Colorado Springs, causing residents to be evacuated, washing out roads and killing at least three people. Are you there? Share photos and video if you can do so safely. 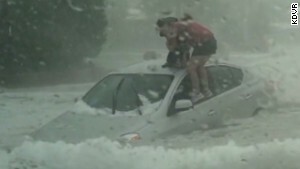 Boulder, Colorado (CNN) -- Emergency crews struggled with rushing water -- and still more rain -- Thursday night as they tried to reach people stranded by a flash flood blamed for at least three deaths along Colorado's Rocky Mountain range. As Governor John Hickenlooper noted, Coloradans went to bed Wednesday night with no inkling that overnight rain could be heavy enough to flood canyons and send rivers of water from Boulder south to Colorado Springs. Boulder County Sheriff Joe Pelle said the "devastating storm" dumped more than half a foot of rain on the region during a 19-hour period. 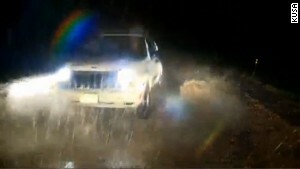 The widespread flash flooding washed out roads, pushed dams to their limits and beyond and killed at least three people. And late Thursday President Barack Obama stepped in. Obama signed an emergency declaration for Colorado, an action that helps allocate federal assistance to the issue. 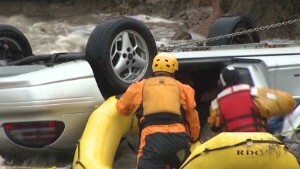 There were dramatic rescues Thursday, including a man pulled from an overturned car in rushing water on live television. But for much of the day, rescuers had to wait at the edge of impassable roads or for skies to clear enough for helicopter flights. Helicopters were still grounded as of 6 p.m. MT Thursday, said Ashlee Herring, a spokesperson for the city of Boulder. The forecast was not encouraging. The National Weather Service issued a flash flood warning "until further notice" for Boulder Creek Thursday evening. The worst of the reported damage has come in Boulder County, where the National Weather Service reported that a 20-foot wall of water roared down a mountain canyon north of the city. One death was confirmed and another feared after a car stopped in the rushing water. Witnesses reported a woman emerged from the car and was swept away by the water. A man left the car and tried to reach her and also was overcome, Boulder County Sheriff's Cmdr. Heidi Prentup said. She said the man's body had been recovered, while the woman was missing. Bodies also were found in a collapsed home in Jamestown and on a roadway in Colorado Springs. Lyons, a small town of 2,000 near the foothills of the Rocky Mountains, was cut off by what city officials described as a 500-year flood. People were using the city's Facebook page to search for loved ones, hunt for medicine and even ask for pet food. One post described people riding to safety on a backhoe. National Guard rescuers in high-water vehicles reached Lyons with humanitarian aid Thursday night, Prentup said, but the town remained otherwise cut off. City officials used Facebook to appeal to residents to take in people and pets who were sheltering at an elementary school because they feared the school would lose power Thursday night. One Lyons resident said it was "almost amusing" to see news video of "debris here and there" in other cities. "They haven't seen this stuff here yet," she wrote. Photos on the Facebook page showed swirling water halfway up street signs and a washed-out bridge. Elsewhere, homes collapsed onto residents and a dam in Larimer County broke, flooding some homes and leaving three people trapped, a county spokesman said. Larimer County Sheriff Justin Smith said some residents there face the dilemma of whether to try to move to safer shelters over bridges that may have been damaged. They will "have to use their own judgment," he said. An emergency message from the sheriff's office to residents of Big Thompson Canyon said, "If you are cut off because of a compromised bridge, you need to stay at your residence but have a plan to get to higher ground at a moment's notice." Pelle said emergency crews were worried about a Lyons Fire Department crew stuck on a mountainside near a washed-out road. Hypothermia from the cold, wet conditions was of particular concern, he said. As of Thursday evening, authorities in Boulder had not been able to make contact with the Lyons Fire Department to confirm that the firefighters had been rescued, Herring said. As dawn broke over the region, Pelle said he was "amassing a large-scale effort" to rescue those who are trapped, reach those who are stranded and deliver much needed aid to places like Lyons, where floodwater overtopped several dams protecting the town. Hickenlooper said later in the day that two National Guard Black Hawk helicopter search-and-rescue crews were sent to Boulder County, along with three swiftwater rescue teams and emergency managers. One helicopter and emergency managers were dispatched to Larimer County. Hickenlooper said the state didn't immediately need outside help. The problem was reaching the most critical areas. Rescuers have been frustrated by debris, impassable roads and mudslides, Pelle said. "This is not your ordinary disaster," Pelle said. "All the preparation in the world, all the want-to in the world, can't put people up those canyons while debris and walls of water are coming down." The rain started falling in earnest about 6 p.m. Wednesday and continued into Thursday, sometimes at the rate of about an inch an hour, according to radar estimates. That added up to about 6 to 7 inches of total rainfall. "The rain, it almost feels like hail, the drops are so thick," University of Colorado Boulder student Ryan Colla told CNN affiliate KUSA. "It just keeps coming and coming, and when you think it's going to subside, it starts to rain down harder." The sudden influx of water turned Boulder Creek -- which runs through the campus and other parts of the city bearing its name -- into a high, fast, muddy and dangerous torrent, Colla told the station. "It freaked us out," he said. At its peak, Boulder Creek was flowing at 16 times its normal rate for this time of year, city spokeswoman Sara Huntley said. But that was not the only stream causing trouble, Pelle said. Unlike the last devastating flood in Boulder in 1969, this storm caused virtually every waterway in the area to overflow, he said. Water rushed through Aurora, east of Denver, swirling and breaking like an ocean hitting a beach. CNN affiliate KCNC captured video of one person stumbling dangerously while trying to cross an Aurora street and finally struggling at the edge of the water. Three onlookers pulled that person to safety. In Estes Park in Laramie County, KCNC video showed the Big Thompson River rushing above both sides of a bridge and flooding several small businesses. And rain is likely to continue to pose problems, CNN meteorologist Chad Myers said. "It could rain again all night," he said. Between 25 and 30 roads were closed Thursday afternoon in Boulder County, Prentup said. Several roads washed away, including one near Lafayette -- about 12 miles southeast of Boulder -- where rescue crews staged the dramatic rescue of a man from an overturned, partially submerged car. Lafayette Fire Chief Gerry Morrell said it appeared three cars driving through pre-dawn darkness and heavy rain plunged into the void left when water washed out the road. Two other motorists got out of their cars, at least one with the aid of firefighters. At first, rescuers feared the last car's occupant may have died after more than 30 minutes in the partially submerged car, Morrell said. The rescue -- captured live on television -- nearly went awry when the car, which had been pulled up so that it was on its side, turned back onto its roof in the swift water just as the man was preparing to climb through a window broken open by his rescuers. "I was aghast," said Morrell, who watched the rescue unfold from the riverbank. All three people were taken to a hospital for treatment of minor injuries, according to fire officials. A firefighter in Boulder had to climb a tree to escape the initial surge of water. Although injured, the firefighter made it to a nearby home, Prentup said. In Lyons, water was flowing over the tops of five dams, Boulder County spokeswoman Gabi Boerkircher said. The dams had not broken, but emergency officials were monitoring them very closely, she said. The extent of the damage was widespread but difficult to pin down, Pelle said. "We've lost roads, we've lost bridges, cars, homes," he said. "And we are just now trying to assess the scope of the damage." Hickenlooper said he will ask President Barack Obama for an emergency declaration, a step toward federal funds to help repair damaged roads, bridges and wastewater plants. While at least one shelter was filling up, emergency officials said they had asked few people to evacuate because of the danger of driving through floodwater. The only active evacuation order was in the city of Jamestown, Prentup said. Pelle urged the rest of Boulder County's 305,000 residents to stay home. "This is no day to travel," he said. "It's a good day to hunker down and watch the news and find out what's going on." Many roads in the county were closed or impassable, and city and county offices, schools and even the university were closed Thursday. They will remain closed Friday. At the university, about 40 buildings sustained mostly minor damage, campus police spokesman Ryan Huff said. School officials had to move 355 graduate students and research faculty members from family housing units because of flooding. The school also had to relocate 21 undergraduates from two residence halls, he said. The rooms of 11 were so badly damaged, they will have to move for the semester, he said. No injuries were reported on campus. 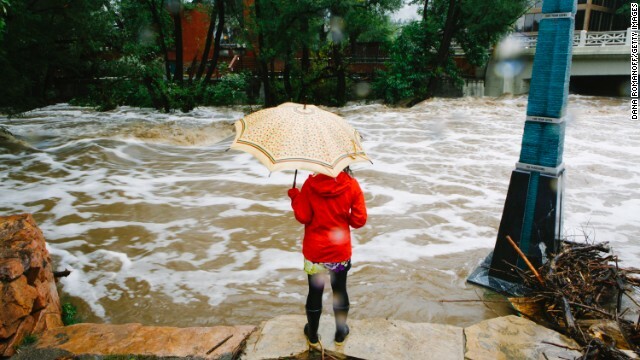 Early Thursday, the floodwater in Boulder completely washed out Skunk Creek Trail, a bicycle path that goes underneath 27th Street, according to Drew Landis, who filed images of the creek-turned-raging-rapids to CNN's iReport. "I'm 6-foot-2 and the creek, which also runs through the underpass, sits about a foot below the height of the footpath," he told CNN. "So that's about 5 to 6 feet of rushing water." An area where homeless people often camp just south of the campus near Skunk Creek was under 5 feet of water Thursday, graduate student Alan Smith said. He described water pouring down bike paths and out of drainpipes. "It's really cool to see these conduits spewing out water from the base of these buildings," Smith said. "It's like a Super Soaker. They're spewing water several feet away." Michael Pearson reported and wrote from Atlanta; Ana Cabrera reported from Boulder, Colorado; CNN's Matt Smith, Sara Weisfeldt, Tina Burnside, Shawn Nottingham and Sherri Pugh also contributed to this report.